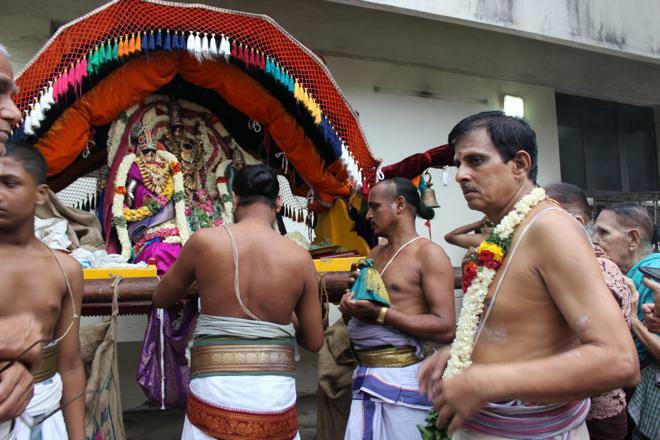 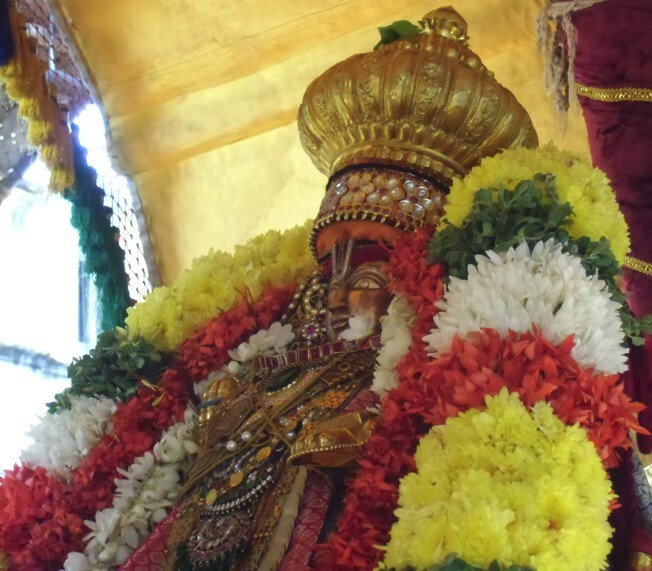 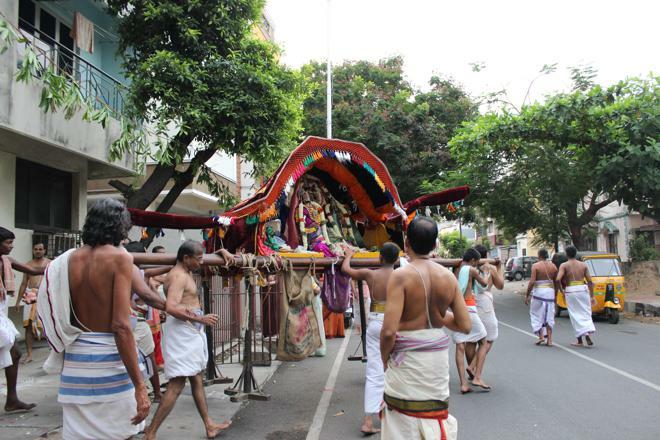 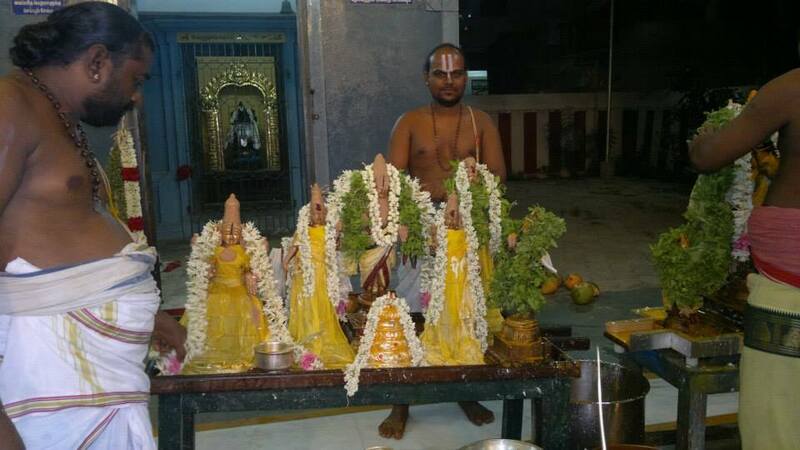 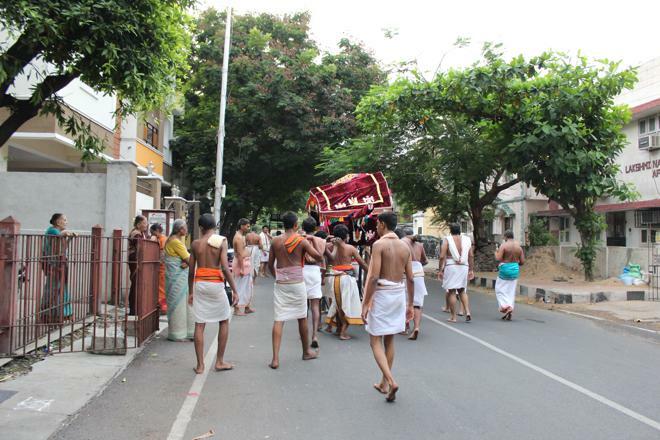 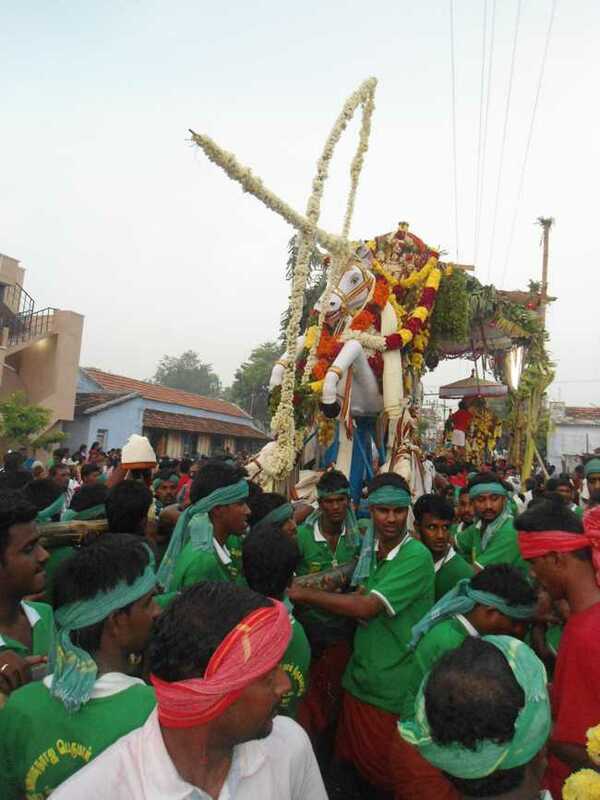 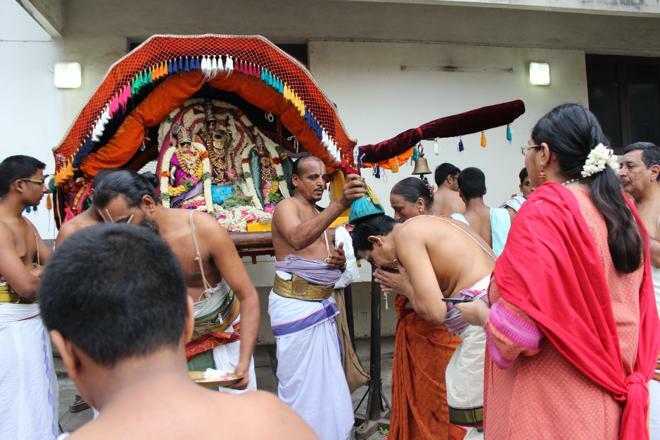 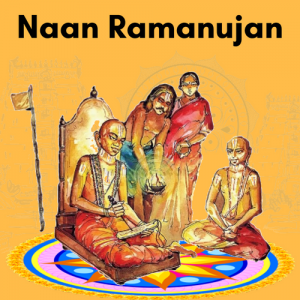 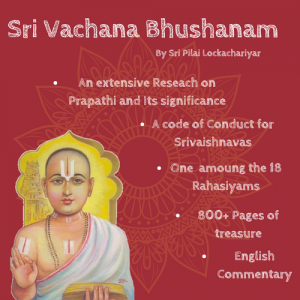 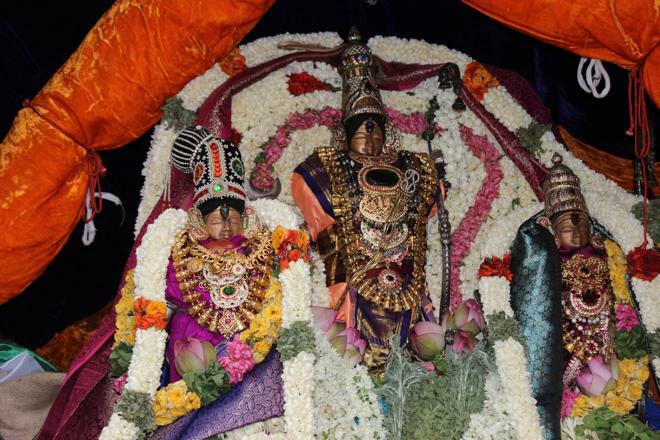 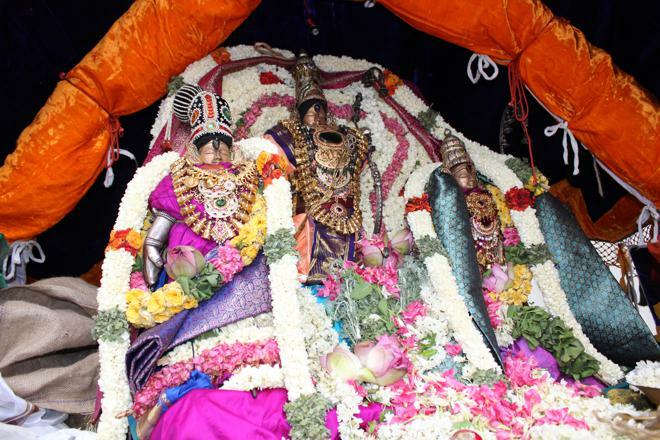 Thotta Utsavam was celebrated in a grand manner for Sri Kothanda Ramar Perumal at West Mambalam on June 8, 2014. 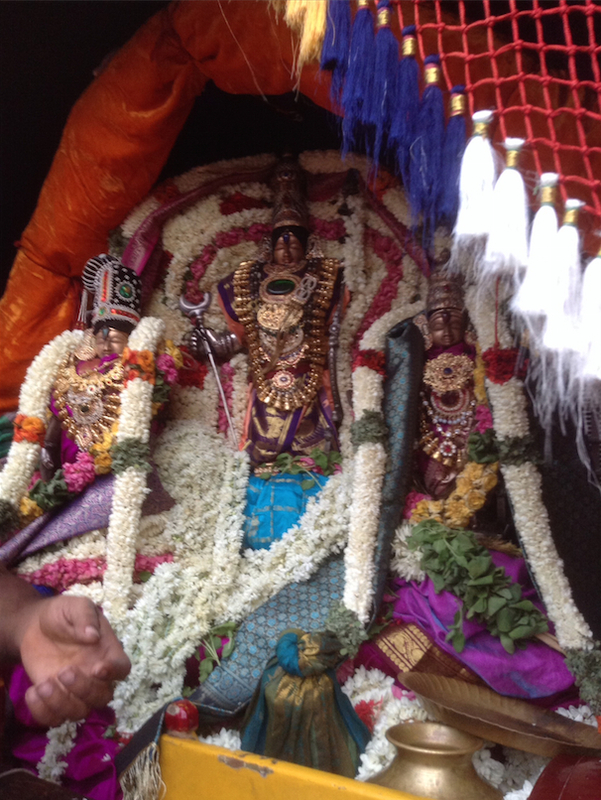 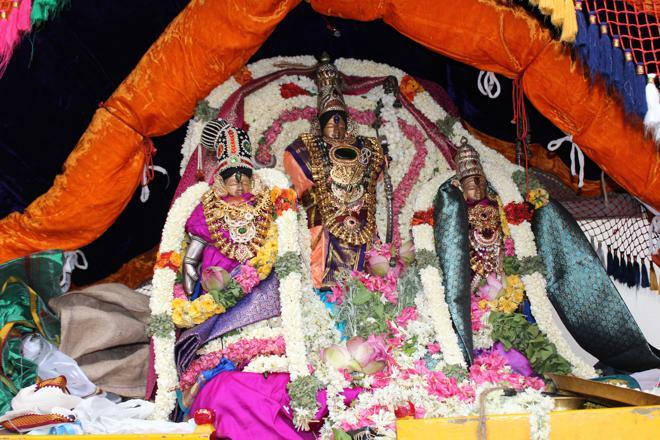 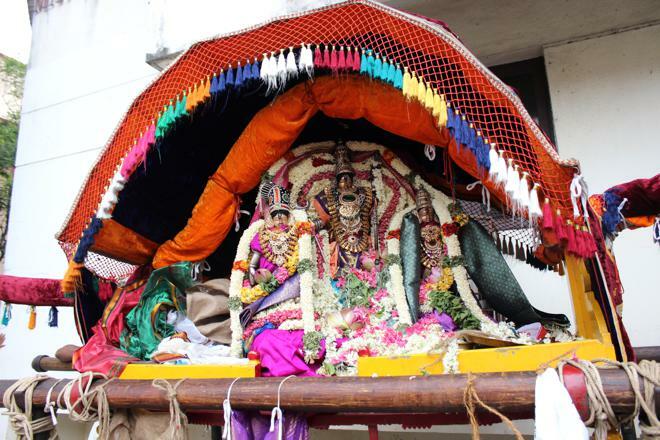 Perumal started around 4 am from Temple with Sridevi, Boodevi sametharai in Pallakku. 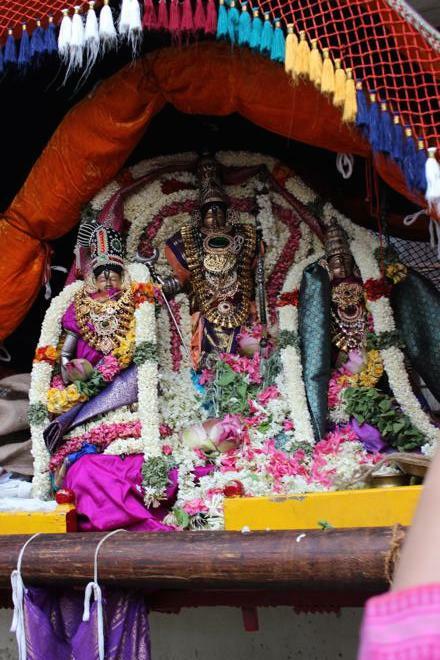 Several Bhakthas assembled with their full families in front of their houses with Vathala Pakku Thattu, Malai, different kinds of Uthirium, Fruits etc. 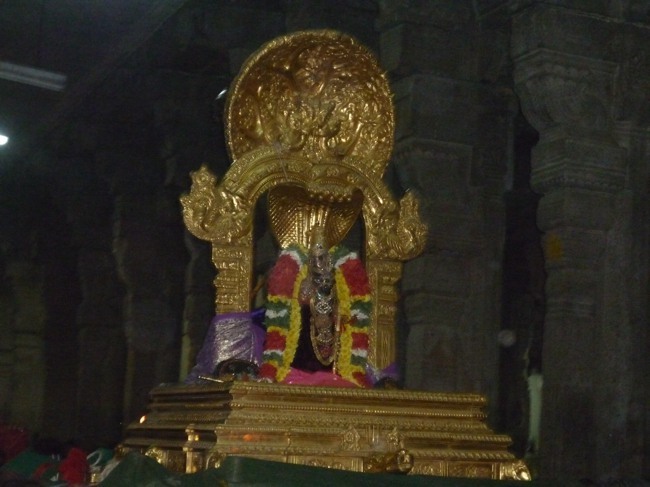 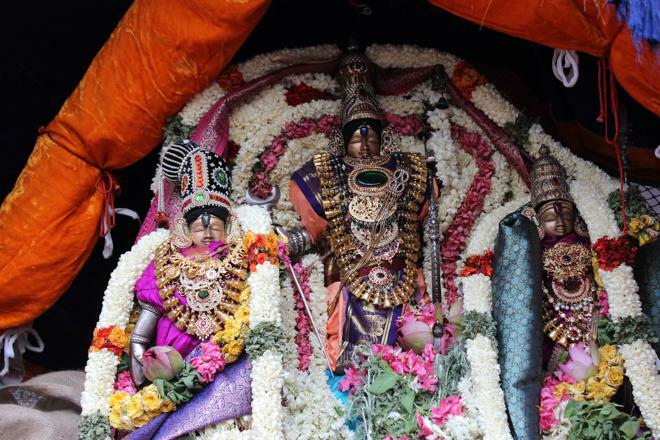 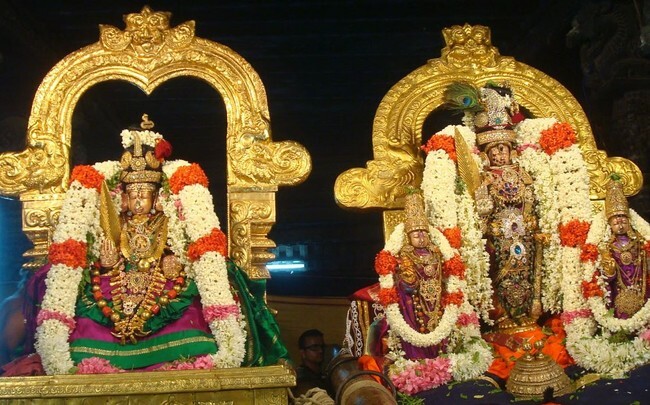 Sri Kothanda Ramar perumal with Sridevi Boodevi came to Mada Veethi in the early morning and covered interior streets of West Mambalam like Postal Colony streets, Arya Gowda Road, Ramakrishna Puram, Lake view Road, Manikkam street, via Sri Sathya Narayana Temple, Veeraswami Street, Kirupasankari street and then finally reached Vasudeva puram around 1 pm. 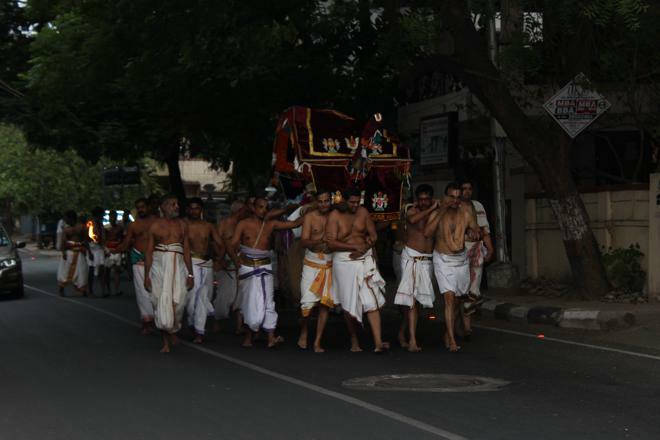 Thirumanjanam commenced around 4.30 pm and perumal reached temple from Vasudevapuram around 8.30 pm. 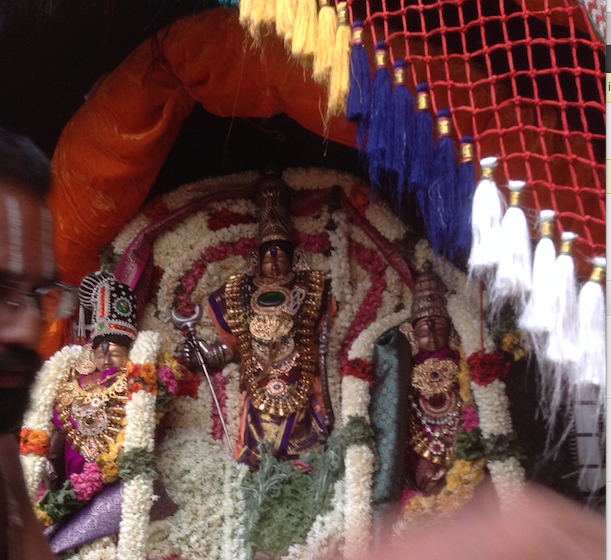 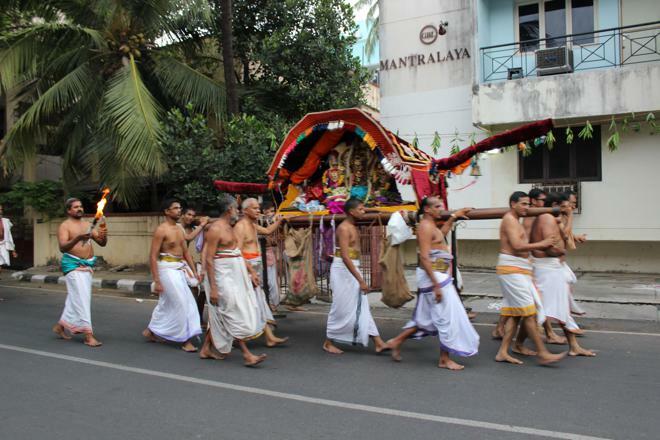 The following are a some of related photographs taken during Madavapadi utsavam at Postal colony….